Are you experiencing any allergic reactions on your skin? Do you often suffer from rashes after having your favorite nuts or other food items, due to which you have to avoid having them? Does the redness, swelling, or slightly raised rashes bothers you? If you answered affirmatively, then you might be suffering from acute urticaria. And, if you are curious to learn what urticaria is, its symptoms, and its treatments, rest all your worries just by giving this post a read. Urticaria can be acute or chronic, and it is marked by the development of rashes on your skin due to certain triggers. 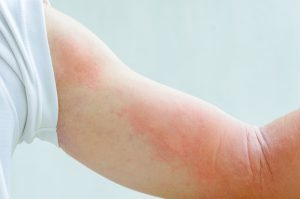 Acute urticaria is the condition where there is a certain allergic or instant reaction of the skin that irritates you. In most of the cases, we can notice that the reaction is of sudden onset, which means the reaction occurs immediately after eating something, having physical contact with certain substances, after taking certain medications or certain drug reaction, or even after biting of bees or other insects. Some common foodstuffs from our daily diet that can cause urticaria is nuts, mushrooms, soy, nuts, wheat, cheese, milk, shellfish, and similar more. How Do These Rashes Look? Rashes of urticaria appear smooth and slightly elevated from your skin, which is medically known as wheals. You might find redness present around the lesions. Swelling, pain, burning sensation, and other skin irritations also occur in these lesions. The spread of urticarial lesions can occur sometimes in the whole body or in a particular part of your body. Who Are Prone To Have Acute Urticaria? Acute urticaria can affect anyone. It can affect both the genders. It is a skin condition that occurs in most of the children and adults as well. Acute urticaria when present with angioedema can sometimes be life-threatening. Angioedema is a condition where there is swelling of your deeper skin tissues. It affects certain parts of your body, such as lips, tongue, and throat. And, it is a severe form of presentation of urticaria which affects at the deeper level. In these conditions, the patient might have difficulty in breathing and might face various discomforts, such as stress, anxiety, and other discomforts. In such circumstances, it might need emergency medical attention. If the condition is present without angioedema, it can be treated very well with homeopathic medications. The extent and duration of the treatment can vary from patient to patient depending upon the duration, extent, and the current health state of the patient. Some of the highly effective homeopathic medicines for urticaria are Apis Mel, Rhus tox, Sulphur, Sepia, Dulcamara, Ledum pal, Natrum Mur, Urtica Urens etc. However, it is extremely important to take these medications only under the supervision of an expert and experienced Homeopathic Doctor. 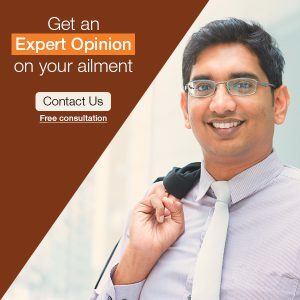 So, if you happen to suffer from the discomfort of urticaria any time, count on homeopathy, by seeking homeopathic treatment from an expert and experienced homeopath. Get rid of your skin irritations and have a healthy skin!